Sometimes called ‘the world’s longest runner bean’, Chile is a ridiculous 2700 miles long and no more than 150 miles wide. 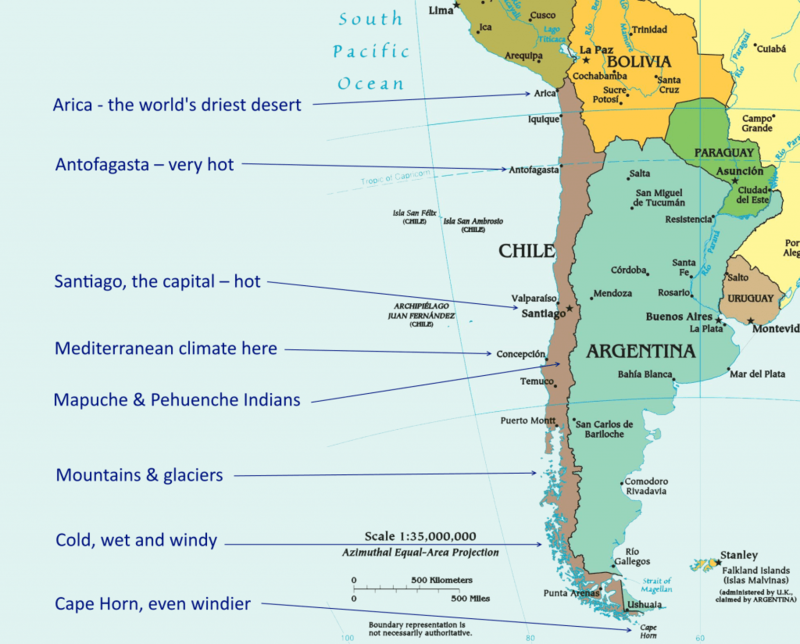 It stretches from the Atacama, the world’s driest desert, in the north, through warm, lush and well-watered valleys around its capital Santiago, to lakes and islands further south, followed by active snow-capped volcanoes and massive glaciers and finally the cold wind-swept grasslands of Patagonia and Tierra del Fuego. 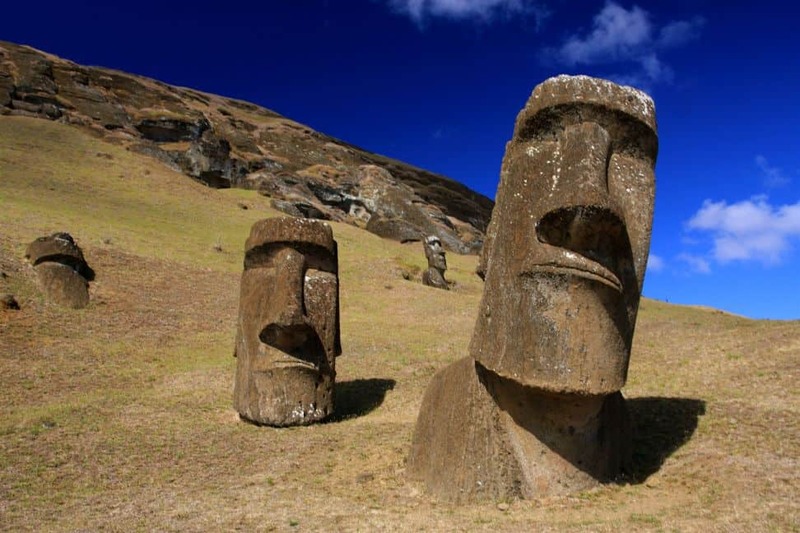 Chile also claims a sector of Antarctica similar to that claimed by Great Britain, and 2300 miles west of the South American mainland its territory extends to Easter Island, home of the mysterious giant Moai statues. The Pacific Ocean forms its western border, and the Andes, the second-highest mountain range in the world, forms its eastern border with Bolivia and Argentina. Prior to the coming of the Spanish in the 16th century, northern Chile was under Inca rule while Araucanian Indians (also known as Mapuches) and other American Indian tribes inhabited central and southern Chile. Although Chile declared its independence in 1810, decisive victory over the Spanish was not achieved until 1818. 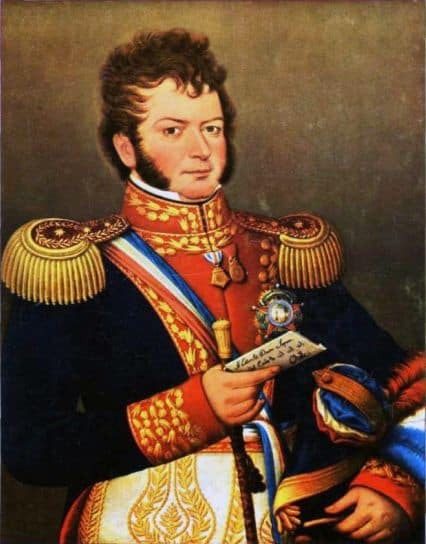 Bernardo O’Higgins, the illegitimate son of a Spanish officer born in Ireland, helped the Argentinian general José de San Martin to defeat the Spanish viceroys and he became Chile’s first independent leader. Since 1818 the country been relatively stable, with the notable exception of a military coup in 1973 backed by the USA. This ended a brief period of Marxist rule under President Salvador Allende and inaugurated General Pinnochet’s military dictatorship of the country from 1973-1990. Chile has now returned to democratic government, and since 2014 has had a lady president, Michelle Bachelet, who leads the Socialist Party. 60% of Chile’s population is a mixture of Spanish and Indian descent, 30% is white, originating mainly from Europe, and 10% is of indigenous descent. The latter are mainly Mapuches, also known as Araucanians, who were never defeated by the Spanish, but there are also small settlements of the related Pehuenche Indians and Aymaras. In the south there are substantial communities descended from European immigrants, so that in Osorno, where many Germans settled, one can see signs such as ‘Schickengrüber y hermanos’, and in Patagonia, where Scots and English settled, it is said that there is a McLopez family! The last survivors of several other Indian tribes who used to inhabit Tierra del Fuego died in the twentieth century. Easter Island is inhabited by Polynesians known as Rapanui. The population of Chile is currently 18 million, of whom over 5 million live in Santiago. In the north Chile has rich deposits of copper and nitrates which provide a major part of its foreign exchange, while in the extreme south there are deposits of gas and oil. It has large plantations of radiata pine softwood, and exports forestry and wood products as well as wine, fresh fruit, processed food, fishmeal and seafood. Dairy farming thrives in the mid-south and sheep farming in the extreme south around Punta Arenas. Although Chile is, overall, one of South America’s most prosperous nations, it suffers from one of the most uneven distributions of wealth in the world, even worse than most developing sub-Saharan African nations. The wealthiest 10% of its population own 47% of the country’s riches, while 20% of the population is classified as extremely poor. The Chilean Constitution provides for freedom of religion, and the Government generally respects this right in practice. Although Church and State have been officially separate since 1925, the Roman Catholic Church enjoys a privileged status, particularly in state and military functions, and nearly all religious education in schools is in the hands of Catholic priests or teachers. According to a survey made in 2017, 72% of Chile’s population identify themselves as Christians, with 58% being Roman Catholics and 14% ‘Evangelicals’. The term ‘Evangelical’ is used to describe all non-Catholic Christian churches and believers, and 90% of these are Pentecostals. 4% of the population are affiliated to other religions, while the remaining 24% do not identify with any particular religion. The figure of 72% is significantly less than the 85% recorded in the previous national census in 2002, which was itself less than the figure in the census before that. Pentecostalism in Chile is unique, because it was born within the Methodist Church and it still retains the governmental system of the Episcopal Methodist Church (bishops, etc) and its major doctrines, discipline and practice, including infant baptism. In 1909 and 1910 there was a move of the Holy Spirit in the congregations of Santiago and Valparaiso and worshippers began to sing, shout and speak in tongues. The U.S. Bishop F M Bristol told the U.S. missionary leader of the Valparaiso congregation, Dr Willis Hoover, that he must either cease practising and teaching such activities or be dismissed. He chose to leave and most of the church members left with him. Thus the Pentecostal Methodist Church began in Chile. A historical overview of Pentecostalism in Chile up until 2006 can be read here. Today the “Pentecostal Cathedral”, Jotabeche Church on Santiago’s main street, seats 18,000 people. The number of regular Pentecostal Church worshippers may even exceed those who regularly attend Mass. Chile is open to foreign missionaries and to Christian evangelism, worship and social action. In 1980 during Pinnochet’s rule, the Operation Mobilization ship Doulos wanted to berth in Valparaiso to sell Christian literature and run on-board teaching seminars. At the last minute it turned out that no berth was available. The directors got in touch with the brother of General Pinnochet, who was a naval commander, to ask his advice. He immediately ordered a large naval vessel to leave port so that Doulos could moor there and begin its ministry. Chile for Christ’s director was aboard when the news was announced. Chile for Christ has active contact with members of the Anglican Church of Chile (considerably more evangelical and charismatic than its English counterpart generally is), the original (non-Pentecostal) Episcopal Methodist Church, and the Filadefia Church which is a small evangelical denomination within Chile associated with a larger denomination found in the more northern countries of Latin America.